M. Vergilius or Verginius was one of the moneyers for the year 86 BC. 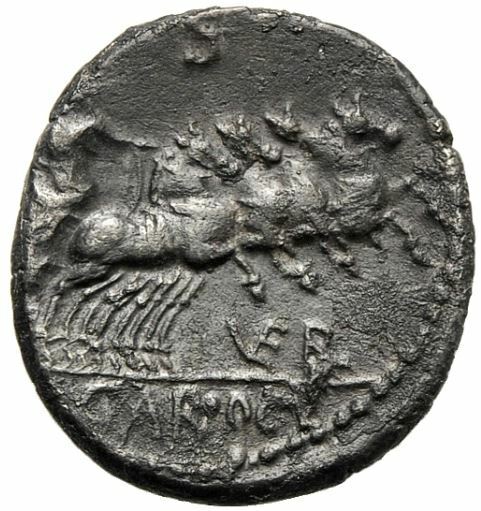 He struck coins jointly with his colleagues C. Gargonius and Ogulnius. He served as Tribunis Plebis in 87 BC. Gens Verginia or Virginia was a prominent family at Rome, which from an early period was divided into patrician and plebeian branches. The gens was of great antiquity, and frequently filled the highest honors of the state during the early years of the Republic. The first of the family who obtained the consulship was Opiter Verginius Tricostus in 502 BC, the seventh year of the Republic. The plebeian members of the family were also numbered amongst the early tribunes of the people.